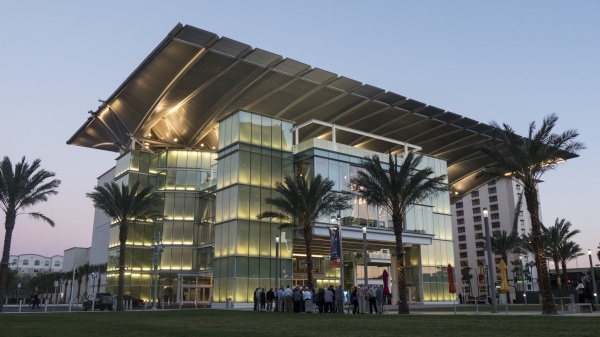 Dr. Phillips Center for the Performing Arts is a performing arts center in Downtown Orlando, Florida, United States. It replaced the Bob Carr Performing Arts Centre, now renamed the Bob Carr Theater, originally built in 1926. The new performing arts center had its grand opening on November 6, 2014. Barton Myers Associates of Los Angeles is the design architect, with acoustics by Artec Consultants and Theatre Project Consultants designing the theaters.